Laurie Koehler, the senior vice provost of enrollment and the student experience, evaluated the structure of the student affairs and enrollment divisions this spring to determine how to set up the new department. Officials took the first steps to roll out the Office of Enrollment and the Student Experience this month, announcing the creation of two new offices and structural changes in the new department. The ESE, an integration of the student affairs and enrollment divisions, officially launched July 1 after about six months of developing a streamlined center for nearly all aspects of student affairs. The department will continue to take shape over the course of the next academic year, but officials released details about the structure of the new office in a University release Wednesday. The two new offices – the Office of Student Success and the Office of Student Systems, Services and Analytics – are the first major changes to the structure of GW’s student affairs services since the new department was announced in January. The Office of Student Success will provide “student-focused services” and oversee registration, summer programs, international enrollment, retention and graduation rates, according to the release. The Office of Student Systems, Services and Analytics will combine information technology and student programming to offer “support services,” as well as collect data about policies and strategies to “enhance enrollment management,” according to the release. The release did not specify what the services would include. “These initial changes help create an alignment of our enrollment and student experience services and support, and we believe that as we continue to develop this new organization, students will see the difference,” said Laurie Koehler, the senior vice provost of enrollment and the student experience, who is leading the new department. M.L. “Cissy” Petty will also begin her role as the inaugural dean of the student experience July 23, overseeing residential life, housing, student organizations and the Colonial Health Center. After a monthslong search for someone to fill the new position following the departure of longtime student affairs chief Peter Konwerski in December, officials announced in May that Petty would take on the role. University Career Services, admissions, financial services and graduate enrollment management will also operate as part of the ESE and report directly to Koehler, according to the release. Throughout the spring semester, Koehler and other officials assessed the organization of the student affairs and enrollment divisions and conducted interviews with students, faculty, staff and outside experts to determine the new department’s structure. As the new office took shape, new jobs were created, while some existing positions were either changed or terminated “because their responsibilities were dispersed across new or existing teams,” the release states. 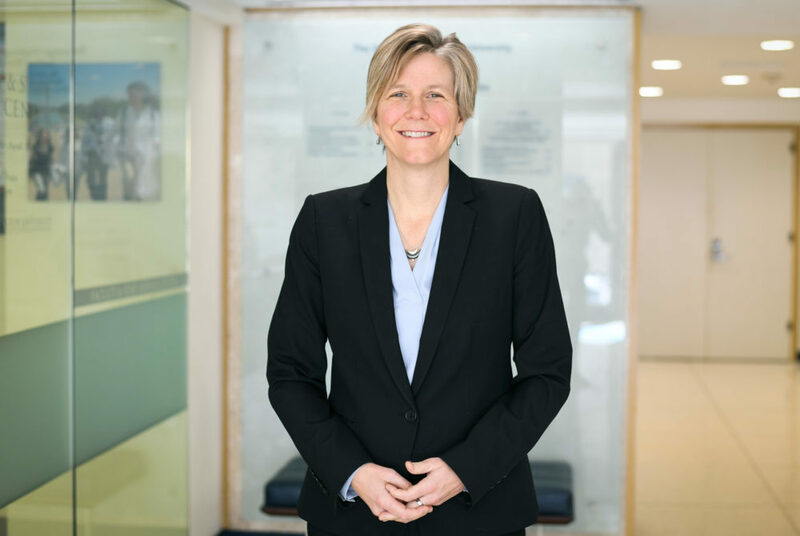 “We have been working hard to put in place a framework that allows us to best support the student experience and strengthen students’ academic, personal and professional successes during their time at GW and beyond,” Koehler said in the release. Officials will garner feedback about the new department over the course of the next academic year and make changes as necessary, according to the release.